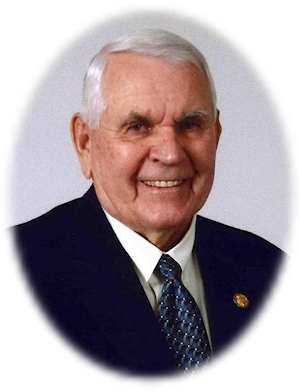 Obituary – Bezdicek, Albert Joe « Perry High School Alumni Association, Inc.
Funeral services for Bert Bezdicek, 79, of Perry, formerly of Edmond, are scheduled for 2 p.m. Wednesday at the First United Methodist Church in Perry. Interment will be in Grace Hill Cemetery in Perry. Services are under the direction of Brown-Dugger Funeral Home. Bezdicek was born Aug. 16, 1929, southeast of Perry. He died Sunday, Oct. 26, 2008, in Oklahoma City. 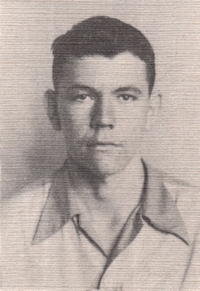 Bezdicek graduated from Perry High School in 1946 where he was active in 4-H club. He attended Oklahoma A & M College (now Oklahoma State University), graduating with a Bachelor of Science degree in 1951. He was active in the Animal Science Alumni Association, serving as president for three years. In 1973 he became Trust Officer of the First National Bank of Oklahoma City, a position he held for 20 years through several bank buyouts. Bezdicek was president and director of The Sirloin Club of Oklahoma, made up of businessmen to help youth in agriculture. He held numerous positions with the Oklahoma City Chamber of Commerce, including director. He was a member of the Key Club of OKC and served on Governor Boren’s Agribusiness Development Committee. Bezdicek was named to Who’s Who in Oklahoma and was given the OSU Graduate of Distinction Award for 1991. He was a Contributing Editor to the National Agri-Finance Magazine and to the Successful Farming Magazine. Bezdicek retired from Banking in 1993 and started a small oil company, BEZ Resources. In January 1999, he and his wife moved back to Perry to retire. He was currently serving as a Director for the Perry Memorial Hospital Foundation Board. Bezdicek was a lay leader for the First United Methodist Church of Perry. He was preceded in death by his parents, Frank and Mary (Kosnar) Bezdicek; and his sister, Rose Heppler. Survivors include his wife, Wilma Bezdicek; three daughters, Sandra Van Kleeck of Belleville, Wis., Peggy Linstromberg of Sand Springs, and Pamela Lansden of Perry; one brother, George Bezdicek of Perry; one sister, Helen Owen of Wichita, Kan., three grandsons and one great-granddaughter.